We started phase one of our studio remodel this weekend...painting the floors! The original floors were just bare plywood subfloor, not something I wanted to keep. 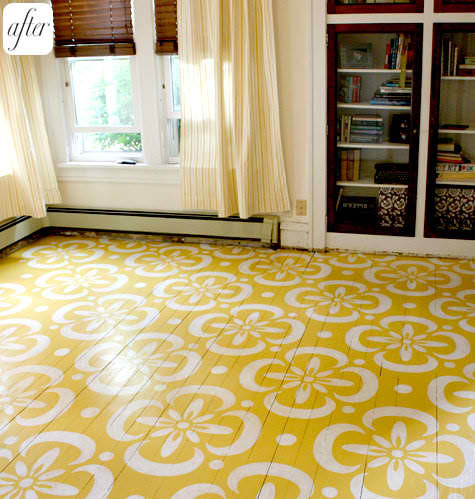 We considered a lot of options like laminate or wood floors but in the end painting was cheaper. It was also easier than our original idea of pulling apart shipping pallets and using the planks to make wood floors. Be warned, that's NOT a project you want to take on until you've thought through how you're going to remove all those nails and plane and sand the boards. It's a LOT of work! While part of me really wanted to stain the wood, using the building-required low VOC stain and sealer was too expensive for us. So we stuck with paint. After two days of PAINFUL floor painting that killed our back, shoulders, and arms, we're happy with the results! We used five gallons of Behr Porch and Patio paint in Gentle Rain to cover a 1200sf area and it turned out perfect. 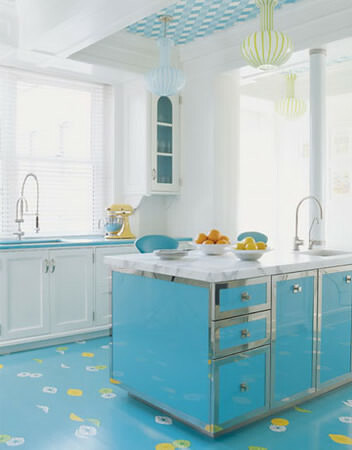 I'd highly recommend painted floors to anyone looking to do something a little different with their space. My suggestion though: use primer! We didn't because we were trying to save ourselves from having to paint any more coats than necessary. Instead we did one full coat and then thinned the paint with water to do a second coat. We also didn't seal it. Because this is a work space and there will constantly be furniture moved around, leaving the floor a little "imperfect" was fine for our needs. If you're painting floors in your apartment, I'd definitely use primer, do two full coats of paint, and use a floor sealer to keep your floors fresh. Next on our list - stenciling. We're on the prowl for a retro-inspired design to stencil on the floor. 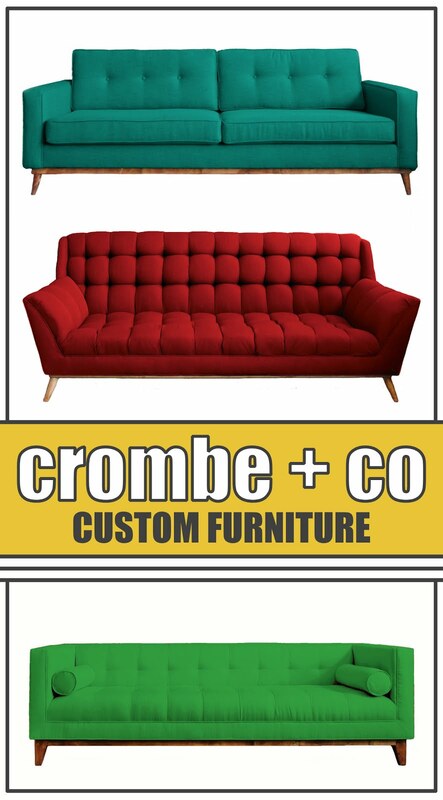 I have no clue what I want but thanks to pinterest, I have tons of inspiration to pull from. What do you think? Love the studio space! I've been looking for something like that in that area. How did you find it? Tamera - Be brave! I'm sure it would look awesome! Worst case scenario, you can always sand the floors back down and do wood again. black/charcoal gray/navy stencil would look very cool. 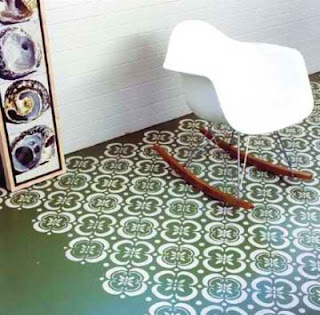 Stenciling is a great idea - it will also help to hide the traffic because I know it is going to be heavy in no time. Looking great hon!! Thanks! I'll look into it. Looking forward to seeing more updates about the transformation of your studio space! OMG! I just sent you an email! HAPPY for you! Let me know if I can help. Guten Tag! "L"
PS. 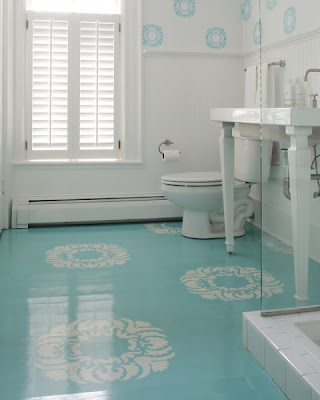 LOVE THE PAINTED FLOOR! That's what we did on both of our earlier spaces. I love what you did here. The painted floors look elegant and they match the theme of the room.